Our Founders met in 2015 when they came together under the banner of Act for America. Concerned with the decline in our values and security, they were drawn to Act for America, the largest private National Security organization in our nation. The original leader of Act for America Montana, Caroline Solomon, began the first Act Chapter in Kalispell, Montana. Act was very successful, eventually establishing five Chapters across the state over the next two years. Act for America’s rapid national growth brought about many changes and requirements that we felt were limiting our work in Montana. While we continue to support Act for America and are totally committed to their mission, we decided to close our Act Chapters and start our own Montana-based organization to allow us to focus on the issues important to Montanans along with those of our Nation. In the summer of 2017, after much debate, the decision was made to establish our own Montana organization and Last Chance Patriots was born. 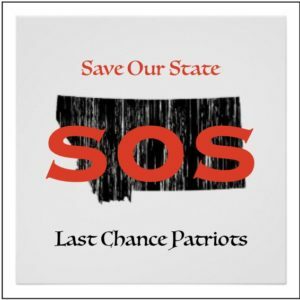 Our organization is currently Last Chance Patriots LLC, a Montana corporation. We are considering becoming a 501-3C but are looking into the requirements and restrictions that may be placed on our efforts. Should anyone desire to see our financials, please contact us at any time. The leaders are not compensated in any way and all their efforts are completely voluntary. We believe in our State and Nation as best described in the Pledge of Allegiance … One Nation, Under God, with Liberty and Justice for All.